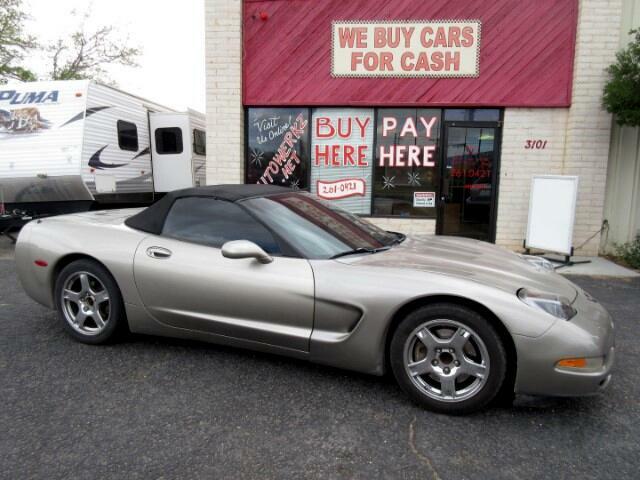 This 1998 Chevrolet Corvette drives excellent. Equipped with a manual convertible, and perfect for the nice sunny days ahead. Don't miss out. We will finance you through the In-House Financing program. Everyone is approved including you! Call or stop by today! Welcome to Autowerkz LLC located at 3101 4th St. NW in Albuquerque,NM. Please call or text us at 505-261-0421 to arrange a test drive or visit our website www.autowerkz.net to view our complete inventory. Buy Here Pay Here Available. Guaranteed Financing for Everyone with Proof of Income, Proof of Residence and a Down Payment or Trade In. Se Habla Espanol.